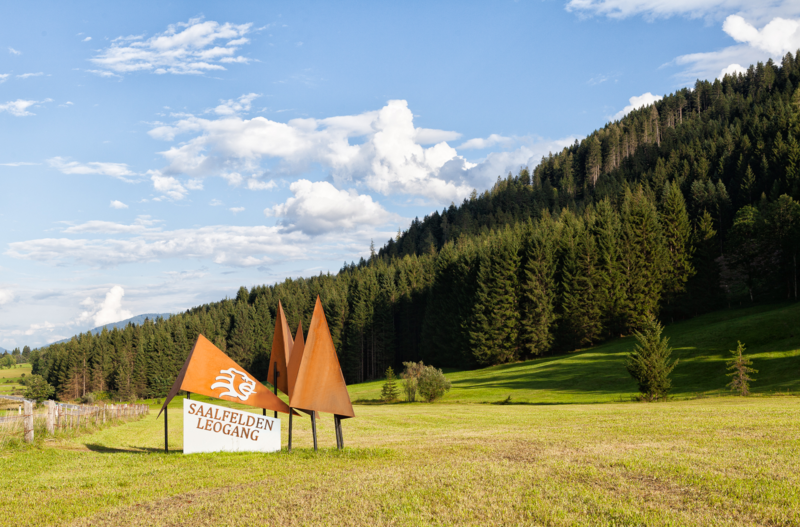 The sculptures are an abstraction of the mountain-silhouette of the “Steinernes Meer”. They are the first welcome in the region and symbolize the peaks of „Birnhorn-, Persail-, Mitter- and Breithorn“. 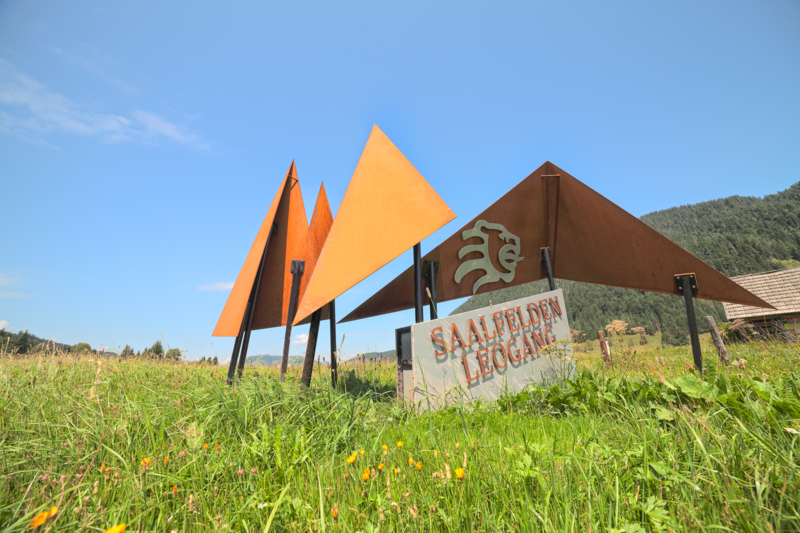 They display the close connection of the tourism association in the two regions of Saalfelden and Leogang. 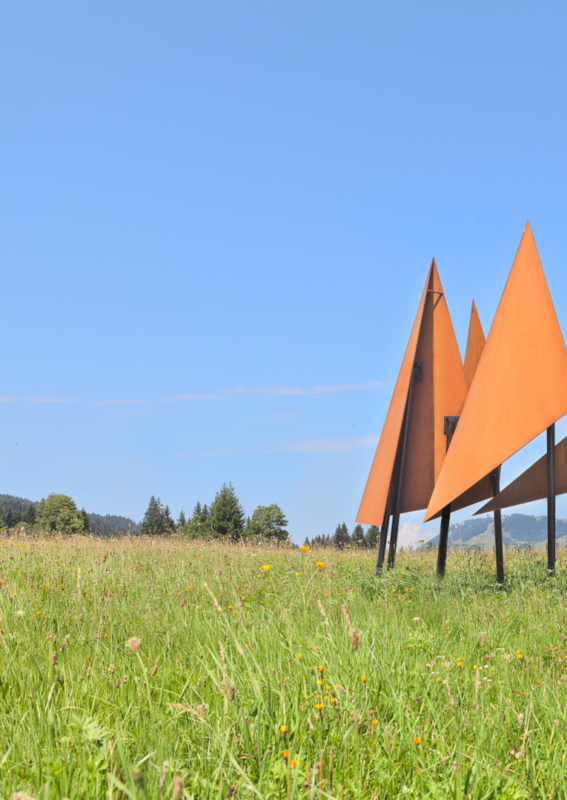 The folded steel plates are non sensitive to all weather influences and the sculpture integrates itself into the alpine landscape harmoniously due to the shape and material choice. Additionally, the sculptures including the lettering shine by solar-powered lights at night. 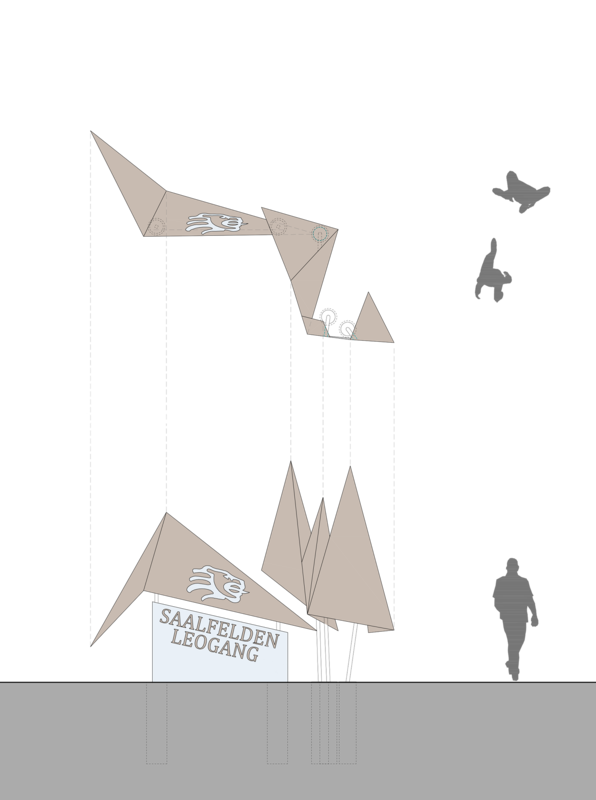 The transferable screw foundations allow the sculptures to be unbuilt and relocated to any location.